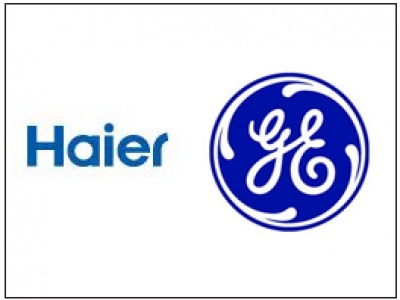 General Electric has announced the sale of its appliance division to the Chinese firm, Haier for 5.4 billion dollars. The sale includes GE's 48% share of Mabe, a Mexican based appliance firm. GE's previous attempt to sell its appliance operation to Swedish-based Electrolux Appliances was opposed by the U.S. antitrust authorities, and eventually terminated. It's highly unlikely this sale will face such opposition, since Haier does not have a significant U.S. market share in large appliances such as full-sized washers, dryers, refrigerators, and ranges. This is good news for U.S. workers. While the sale to Electrolux was sure to bring some factory closings due to plant redundancies, Haier does not have the same large scale appliance manufacturing facilities in the U.S. While GE had several very good options, this appears to be a very straightforward transaction, and GE got a nice increase in the sale price over the 3.3 billion dollars they would have received in the Electrolux deal. There are many who would have preferred that GE Appliances would have remained U.S. owned, but there just aren't other US appliance firms that would be viable candidates. A spinoff might have been possible, but $5.4 billion must have seemed a lot better to GE. 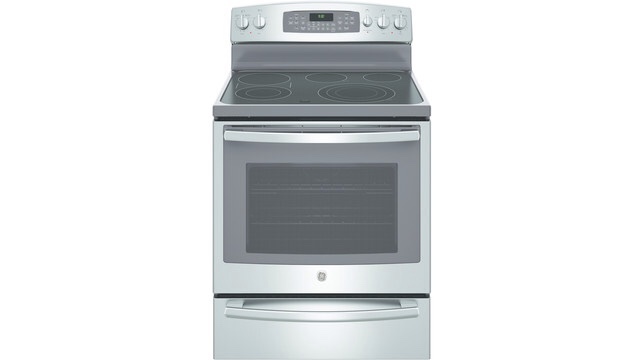 Congratulations to GE Appliance management. They have a great team, and this deal should keep them fairly well intact, as well as thousands of factory workers. In a shocking move, the U.S. Department of Justice filed a lawsuit yesterday seeking to prevent the 3.3 billion dollar sale of the GE Appliance business to Electrolux. “The suit argues the move could lead to price increases as the combined company dominates sales of kitchen appliances to customers like home builders, property managers, hotels and government”. Evidently, the big appliance retailers just sighed and shed a tear, but the big guys on the contract side of purchasing appliances weren’t afraid of going up against the big guys building all the appliances. As I have written before, monopoly is a bad deal – duopoly isn’t so great either with GE/Electrolux and Whirlpool dominating the contract side of the appliance industry (and also segments of the retail appliance industry sales). The only surprise here is that the Feds are fighting the acquisition. My guess is they’re buoyed by “encouragement” from the building industry. P.S. It looks like Electrolux thinks that disposing of the Hotpoint brand will solve the problem. I really hope that the Feds can see through this for the canard that it is. On next Wednesday, December 3rd, the 2014 Rockefeller Center Christmas tree will be lit for the first time. Overlooking the ice rink, and the gilded statue of Prometheus, the tree will remain the centerpiece for Rockefeller Center until the lights are turned off on January 7th, 2015. 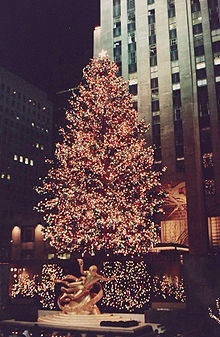 A large tree has been erected in Rockefeller Center since 1933. ranging from 69 ft. to 100 ft. tall. The tree is almost always a Norway Spruce. A 9.5ft. diameter, 550lb “Swarovski Star” will be placed at the top of the tree, accompanied by 45,000 LED lights that are draped on the tree's branches. Rockefeller Center Christmas Tree photographed in December 1987, a 75 ft (23 m) high Norway Spruce decorated with 18,000 lights. Black Friday not always best for Christmas purchases. It’s nice to brag about the killer price you got by shopping a midnight Black Friday sale, and while that is great news when factual, the truth is that today’s Black Friday price on a KitchenAid mixer is the same as last year’s price. The Wall Street Journal hired a research company to analyze prices for two plus years to determine when prices for certain items and categories went up or down over time. While the researcher did confirm that for some item prices were lowest early in the holiday season, significantly this is often not the best time to purchase many products. For example, luxury items such as jewelry and watches tend to spike up throughout the holiday season. 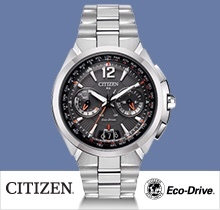 The Citizen watch tracked by the research firm does not change in model number or style each year. Also, luxury items such as this are often last minute purchases and not very likely to be price-shopped on Christmas Eve. So, if you scored big time on Black Friday good for you, but if you’re still looking for a deal don’t worry. If you can wait long enough for that Citizen watch the lowest price in over two years was in March. A practical idea or ahead of its time? Are connected appliances for you? I’ll admit it. I’m an early adopter when in comes to technology. Also, having 30 plus years experience in the appliance business, I still follow and write about appliance industry trends. But, when it comes to high technology “connected” appliances, I’ve not been a fan. But now, they are beginning to gain traction. On the high end, both Dacor and Viking are beginning to test the waters with appliances that are operated by smartphones. Recently, GE introduced a wall oven controlled by it’s Brillon mobile app, and now it’s available in a more economical range line. They’ve also begun to incorporate some common-sense safety features into remotely operated appliances. Nevertheless, “connected” appliances all seem to come at a premium that can’t be justified just for a remote feature. 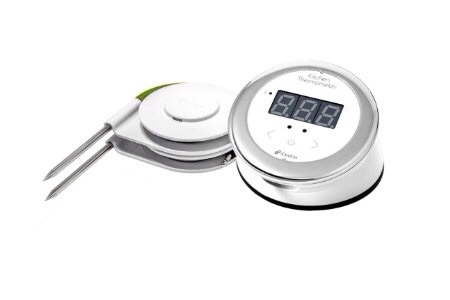 A Bluetooth Smart enabled cooking thermometer designed specifically for indoor use. The beautifully designed device magnetically mounts to your oven or stove and will transfer the real-time temperature of whatever your cooking right to your free iDevices Connected app available in the App Store℠ and Google Play™ Store. The thermometer has two probes, a display with proximity wake-up, magnetic mounting and two probe wraps that conveniently clip together and mount to the back of your device. This is the cooking essential to creating the perfect meal. *Disclaimer: I don’t own this device. I’ve no connection to this company, and I’ve not been requested or paid to write anything about it. While prayers of thanks for a successful harvest have occurred in various civilizations for hundreds, maybe thousands of years, the English tradition became formalized in the Reformation during the reign of Henry VIII in 1536. 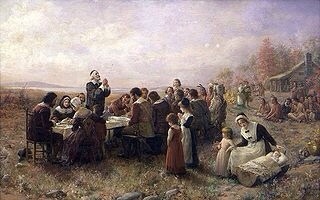 In the New World, though poorly documented, Thanksgiving was first celebrated by the Puritans in 1621. As President, George Washington declared a national Thanksgiving holiday in the U.S. on November 26, 1789. This year, 2014, the U.S. Thanksgiving Holiday will be on Nov. 27th. It’s A Beautiful Day…Leave Us All Enjoy It! This morning I was enjoying my morning coffee. It was a typical cool November morning in Arizona with all the promises of a mid-seventies afternoon. I thought to myself. “It's a beautiful day in Arizona”…and the words “leave us all enjoy it.” immediately followed. I was SHOCKED. I don't speak in that way or even think with that syntax. How did this happen? 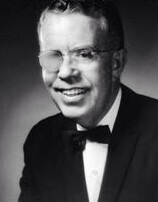 When I first came to Arizona in 1970, the Governor of Arizona was an amiable fellow, Jack Williams, who was sometimes referred to as One-Eyed Jack. He'd had lost vision in one eye as a child, and wore glasses with one lens frosted over. It's a beautiful day in Arizona. Leave us all enjoy it. Here are some paperless options. 1. Wunderlist. Everybody loves Wunderlist. Me too! Easy to use. Very intuitive. Good for keeping multiple lists. Works on nearly every mobile platform, and a web-based version for your desktop. It's Free. Did I say Free? Yes. 2. Clear. This is such a cool app. It is very cleverly designed, and actually fun to use. It was a great replacement for Remember the Milk – maybe the first of the basic electronic todo lists. BUT…how many to do lists do you need? I cut both these apps because Wunderlist is a great to do list, it handles basic to dos just as Clear and RTM, but it is also super powerful and goes beyond the basics. 3. DayOne. I think most people probably use DayOne as a journaling tool, and that's what it is designed for, but it is also a great place just to hold info, make lists, keep notes. I often use it if I want to write something to refer back to later, sort of a place holder. 4. Trello is a great project/task manager. Works perfectly with iPad for dragging and dropping tasks from one place in the process to another. Great for visualizing workflows, responsibilities, etc., and for making lists! 5. Evernote I saved for last. It is such a hard program to explain because everyone seems to use it differently. It's probably my very favorite app because it does so much. Evernote is very good at a lot of things, but the best at very few. 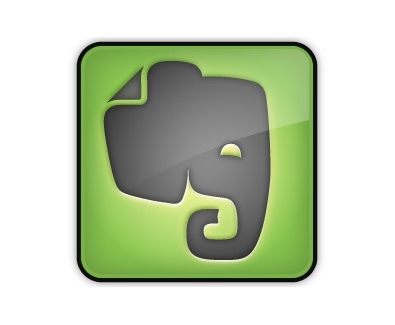 So, I wind up using Evernote and make the tradeoff. It's so worth it because of the value of keeping (almost) everything in Evernote. All said, there are a ton of electronic list substitutes for keeping lists. That may be the problem. Pen and paper versus 100 different apps. I prefer the electronic solution, but i keep paper and pen handy just in case. or How I Learned to Carve a Turkey on YouTube. I have spent several Thanksgivings struggling with big birds, trying to teach myself everything I never wanted to know about carving a turkey. Eventually, I resorted to the internet, reading articles from ButterBall® to Martha Stewart to POPSUGAR Food (I’m not kidding). This was but a meager beginning. I soon found the motherload for TCI (Turkey Carving instructions) on YouTube. Here I discovered a plethora of live action videos, purporting to make me into a Grand Master in the art of turkey carving in just 3 to 5 minutes. Don’t worry, you won’t have to review this video plethora. I have done it for you. I’ve divided these videos into three TCI methodologies: elegant (Norman Rockwell style), clever, and simple. The Norman Rockwell carving style takes place in the dining room by showing off your skills in front of your guests by slicing the breast meat while it is still on the bird. It’s pretty…very pretty. Then the master retires to the kitchen to finish the ugly work with no witnesses. The clever methods involve the tricks and speed-carving methods of professional chefs using ninja knives. They take apart turkeys in a flash, using knife skills that could easily cost me a limb. I’ll pass on the clever. And, the simple method is for the really smart 1% (I don’t qualify), who have thoroughly researched the matter and found out that even Julia Child gave up on carving turkeys. In 1989 she proposed that the best way to cook a turkey was to separate the bird pieces in advance. 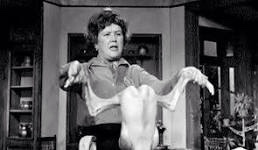 Hence her recipe for a deconstructed turkey. No carving required. Of course, to many of us that kind of defeats the purpose of having a turkey in the house. At the end of the day, I became a follower of Alton Brown’s Turkey carving method. It’s a bit clever and about as simple as could be without deconstructing in advance, but maybe not elegant. I’ll stick with it until I find a better system. I’m especially indebted to Mr. Brown for his technique of removing the thigh bone and carving the thigh. Here’s a link to Food Network’s Alton Brown Turkey Carving Video 3:28. My final bit of advice is that whatever method you choose, have a sharp carving knife for the slicing, and a sharp boning knife for that tricky thigh bone. ENJOY! 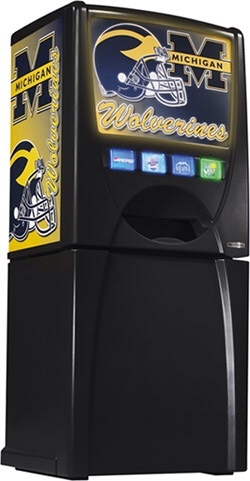 Launched somewhere around 2003-2004, the Maytag Skybox home beverage dispenser could dispense either bottles or cans. With a distinct sports theme (you could order panels for your favorite team), the Skybox was great for a basement or rec room. MSRP priced at $499 (most sold for less), this product was all about fun and whimsey. However, the Skybox was mostly plastic, made in China, and not what you'd describe as fitting the durable, premium image of the Maytag brand. It had a short life, but then Maytag itself didn't have a long life left, being sold to Whirlpool in 2005. 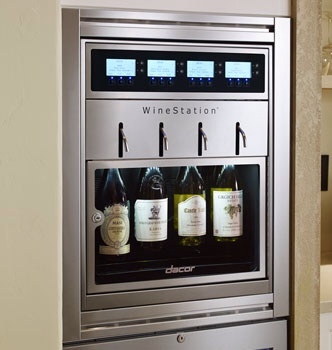 Now let's fast forward to 2014 and the Dacor Discovery WineStation®. The Discovery WineStation® is the first automated, temperature-contolled, four-bottle wine dispensing and preservation system for the home. Unlike the Skybox, The WineStation® is a serious product for serious wine lovers, and it carries a serious price of $5299. It's also not likely you'll find this on sale at the big box or home improvement stores, but just like the Skybox, the WineStation® is definitely an attention getter and a conversation starter. As a commentator and observer of macro-trends in the appliance industry, it's great to take a step away from serious and often distressing appliance news to take a look at fun and interesting products such as the Maytag Skybox and Dacor WineStation®. Can you think of any unique appliance products that made you curious or put a smile on your face?